What is a lead magnet? Honestly, it’s just a fancy marketing term for a freebie. It’s an enticing but free offer to get someone’s email address in exchange for your valuable content. A lead magnet gives you the opportunity to promote something other than your products on social media. In other words. Good lead magnets make your target audience feel that you’re interested in their personal success and not just yours. 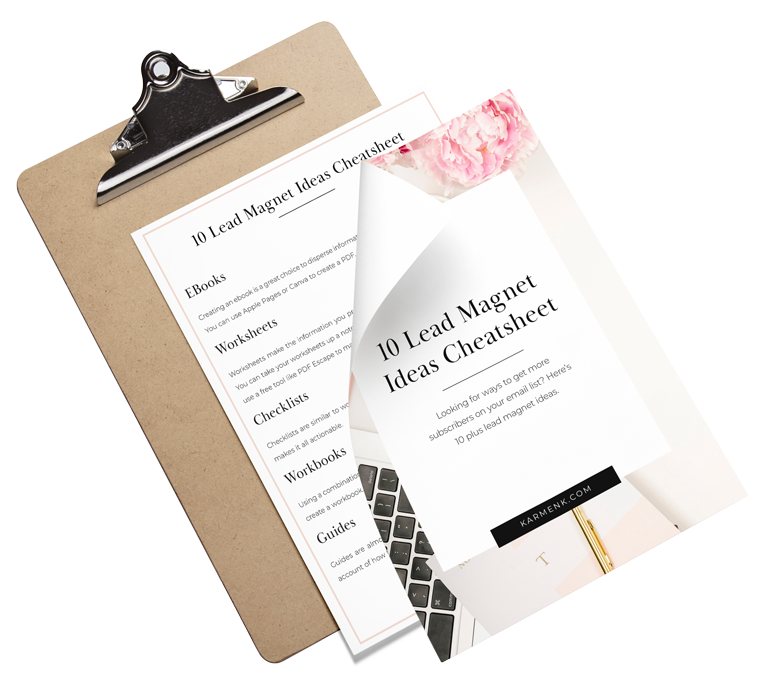 An ideal lead magnet gives your audience a preface of your products and services. Therefore you should focus on creating lead magnets that answer commonly asked questions and breaks down processes within your business. For example; I help creative entrepreneurs learn how to do basic design and branding on their own using free ebooks and guides. My freebies gives my audience enough guidance to implement the information on their own. However if they would like a detailed guide and help implementing the techniques they will purchase my paid products and services. Sharing your knowledge about your industry establishes you as being credible and trustworthy to your audience. These factors weigh heavily when a potential client is trying to decide whether you’re worth parting with their coins for. Trying to come up with what kind of freebie to offer can seem intimidating at first. It’s best to start with some questions that will help you come up with ideas. You may sell credit repair services, but as we know credit repair has so many different aspects to consider. You may notice that most people don’t know how to check their credit. So there’s a problem, and you can solve this problem by creating a cheat sheet with the different ways someone can check their credit. What questions do you always get? Same scenario as the problem solved. It’s important to keep up with the questions you get from your clients. You can use those questions to brainstorm what type of material would answer most of common questions and educate your potential client. What objections can you overcome? People will give you a million reasons why they can’t invest in something that is proven to work. From talking to your previous clients I’m sure you know the common objections for your product or service. You can use those objections to create a freebie that addresses them in detail. Creating an ebook is a great choice to disperse information about your products and services. You can use Apple Pages or Canva to create a PDF. Worksheets make the information you provide actionable and practical for your audience. You can take your worksheets up a notch and make the response lines PDF fillable. You can use a free tool like PDF Escape to make fillable PDf forms. No printing or scanning required. Checklists are similar to worksheets and give your audience a summary of what to do and makes it all actionable. Using a combination of information from an ebook, checklists, and worksheets can help you create a workbook. Guides are almost like an ebook or workbook. The difference is they provide a detailed account of how to implement the information given. Have you created a really good blog post that covers a lot of info? Creating a list of top tips from that post is perfect for summarizing all of the information. Do you frequently recommend tools or resources to your audience to make their life easier? You can compile these tools in a list and use it as a freebie to attract more subscribers. I love a good planner and/or printable! Even better if you make it free in exchange for my email address. 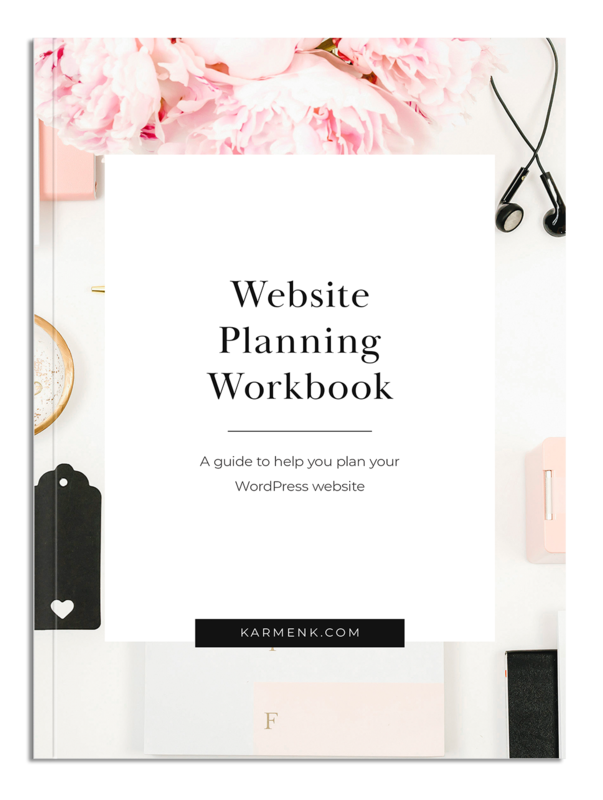 Some ideas may include weekly/monthly planners, to-do lists, and blog posts planners. You can recreate a system you use and make it a printable for your audience. Templates are digital products like planners but they don’t have to be printed. Therefore making it even easier for your audience to use. Templates can pre-filled spreadsheets or presentation layouts for a powerpoint. A resource library is a place where your audience can access all of your freebies in one place. I use a Google Drive folder with shared access for my freebie library. 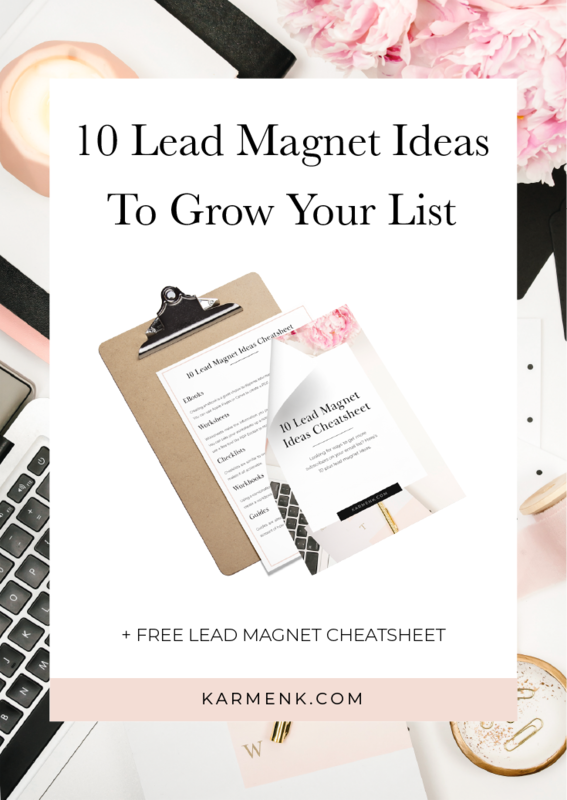 Grab your copy of the Lead Magnet Cheatsheet. 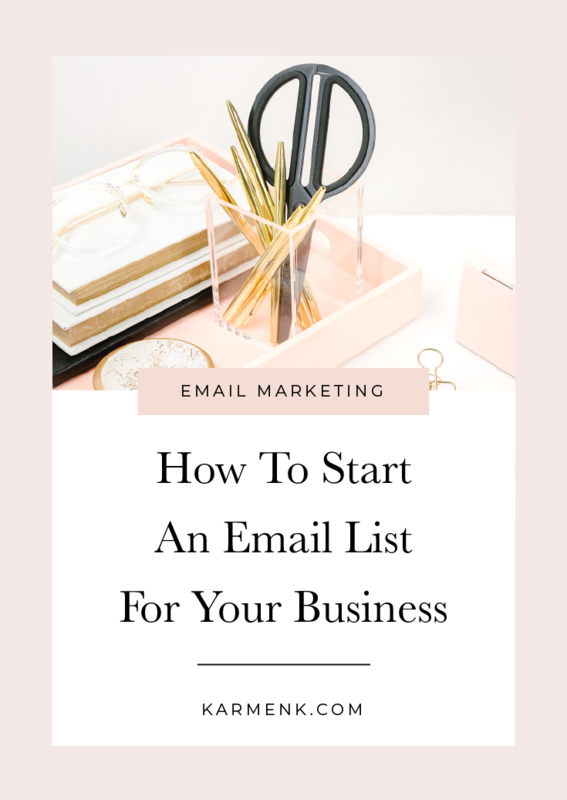 Leave your info below and a copy will be sent to your email within minutes.